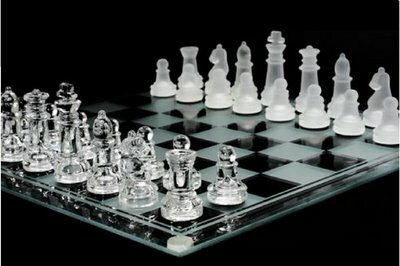 Many players miss a big opportunity to improve their chess by not properly analyzing their games. In fact, most people simply do not analyze their games at all. They think that instead of spending time on going over their games, they can play a couple more. Instead of learning from mistakes and correcting it, these players prefer to keep making the same mistakes over and over again, sometimes for years and even decades. Just imaging a golf player that keeps on making the same mistakes while taking a swing. Unless he revises his technique and works on it, he cannot make progress. The same is true for chess. If you want to improve you need to review your games, draw conclusions and take action. 1. Why a certain move was played? Figure out why certain moves were played. You need to evaluate, was that a good or a bad move, and what consequences did it lead to. 2. What was a critical position in the game? 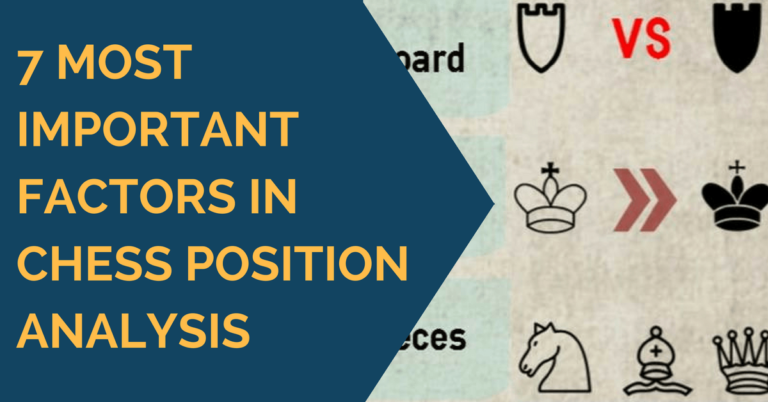 Identify critical positions in the game. The critical position is a position after which the game dramatically changed from positional to tactical, stable to unstable or attacking to defensive. 3. What variations/lines did you calculate when you considered what move to play, especially in critical positions? Usually, a critical position is associated with some sort of decisions that need to be made. The direction of the game and its outcome are very much dependent on these decisions. Therefore, it makes sense to take a little bit more time both during and after the game to analyze the lines and variations available to you in order to come up with a best possible continuation. When you analyzing a game you should try to find the lines and variation that you have missed during the actual game. Also you need to determine the reason why it happened. 4. What is the correct continuation right before the mistake was made? As I said previously, a very important part of making progress at chess is learning from our own mistakes. We do a much better job learning from our own mistakes, than from somebody else’s. For example, until we get a back rank mate a few times we won’t be looking out for it. In your game analysis you should always identify where the mistake was made and propose a better way of playing that line. 5. What positional/tactical factors did you base your decision of the game plan? You need to figure out how and why you came up with your game plan. Also you need to determine based on what positional/tactical factors that plan was made, was it a sound one or not. How can you improve on it? 6. What important lines/variations did you miss during the game? You need to find the lines/variations that you have missed during the game, both for you and for your opponent. Especially, you should focus on simple things, such as blunders, simple combinations, tactics, etc. 7. How could you improve on some of the moves played? You need to focus on the moves you have played that weren’t exactly the best possible decisions in certain positions. Once you have identified those, you need to find better continuations than the one’s you have found during the game. 8. How did you play the opening? Did you achieve the type of middle-game position you were aiming for? Analyze the opening stage of the game. Did your home preparation worked, did you deviated from the theory a lot, did you get surprised by your opponent’s opening responses, did you achieve a favorable middle game position, etc? 9. How does the opening line you have played compares with the lines GMs play? Compare the opening line you have played with the database games of professional players. Pay specific attention to the evaluation of final position that you have achieved, as well as on outcome of these games. 10. What are the typical mistakes, opening flaws, endgame weaknesses that you are constantly observing in your games? This is the final step of the analysis. You need to make a decision about quality of your game in general, as well as to analyze your endgame technique, draw conclusions and take action. Taking action is the most important step. If you have all the analysis in the world, but don’t try to improve on it, it’s all worthless. Raul Capablanca stated that he did not always analyze the won games, but always studied the lost ones.